On Tuesday, a Multnomah County, Ore., jury delivered a guilty verdict against Russell Courtier, a member of a white supremacist gang who ran down a black teenager with his Jeep in 2016. Courtier was found guilty of murder, as well as intimidation (a hate crime in Oregon), and hit-and-run driving. According to Oregon Live, the verdict marks the state’s first hate crime murder conviction in 30 years. Courtier ran down Larnell Bruce Jr. in his girlfriend’s Jeep on Aug. 10, 2016, after a fistfight broke out between the two outside a 7-Eleven. During the eight-day trial, Courtier’s attorneys tried to convince jurors that Bruce started the fight. Surveillance video from the convenience store showed Bruce calmly standing outside before Courtier pulled up in the Jeep. The video shows a fight breaking out suddenly; on that night, Courtier was wearing a hat emblazoned with the initials and shield of European Kindred, a white supremacist prison gang. A co-defendant in the case, Hunt pleaded guilty to a first-degree manslaughter charge for her role in Bruce’s killing. After the verdict was announced, Bruce’s mother, Christina Mines cried tears of joy. “I’m so happy,” Mines told the Oregonian. Courtier’s racism was well-documented during the trial, during which prosecutor David Hannon played for jurors a videotaped interview of Courtier dropping the n-word to police hours after Bruce’s death. The 40-year old ex-convict joined European Kindred, an Oregon-based white supremacist prison gang, around 2003. In 2007, founder David Kennedy told a gathering of law enforcement personnel he started the gang “to serve and protect our own people in the joint,” according to the SPLC. Courtier is facing a minimum sentence of life in prison; he will be eligible for release in 25 years. However, prosecutor Hannon has indicated he will request a longer prison term. 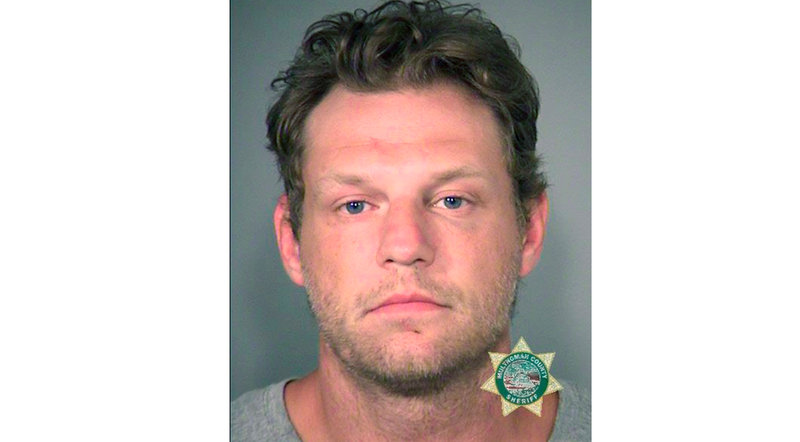 Corrected Sunday, March 24, 2019 at 1:42 pm EDT: An earlier version of this post referred to Russell Courtier’s conviction as Oregon’s first for a hate crime murder in three years. It’s actually been 30 years since the last hate crime murder conviction.